That Scamp Theatre is the production company here should be all any parent of small children needs to know to place The Scarecrows' Wedding near the top of their list of must-see shows. The company has got previous in this city and across the UK, particularly with its adaptation of Julia Donaldson and Axel Scheffler's Stickman and last year’s hit Fringe version of Geraldine Durrant and Rose Forshall’s Pirate Gran. 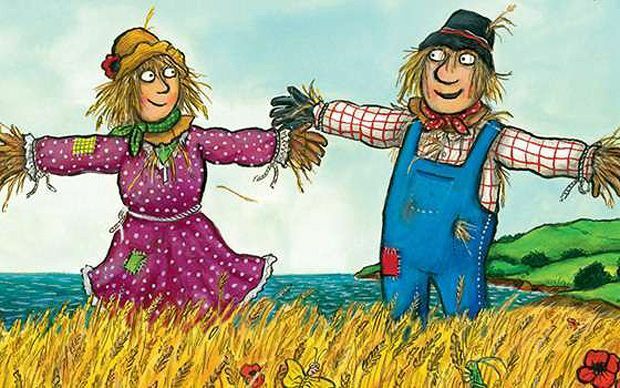 Here, once again, they've taken Donaldson’s work and run with it, by adapting her book about Harry O’Hay, a scarecrow who goes on a mission to find items that will make his wedding to Betty O’Barley a perfect day. James Button’s set is visually interesting, but not overcrowded, rising to a scalable peak of green fields. The trio of actors, including Muireann Bird and Edward Day as the scarecrow couple, tell their story with clarity and warmth, infusing it with a sense of gentle romance and wide-eyed adventure as Harry sets off looking for a necklace of shells and a bunch of flowers. Paul Brendan is both the kindly farmer and Reginald Rake, the scarecrow lothario whose armchair turns into a sports car, and together the cast sing gentle songs and deliver Donaldson’s typically rhyming text in a fashion which silences their large audience in wonder. Underbelly George Square, 0844 545 8252, until 31 Aug (not 19), 2.50pm, £10–£11 (£9–£10). Scamp Theatre Betty O'Barley and Harry O'Hay invite you to… ‘The best wedding ever, the best wedding yet, the wedding that no one will ever forget.’ Harry sets off to search for wedding day essentials, but when the farmer notices he is missing, he replaces Harry with the devilishly smooth but dangerous Reginald Rake.